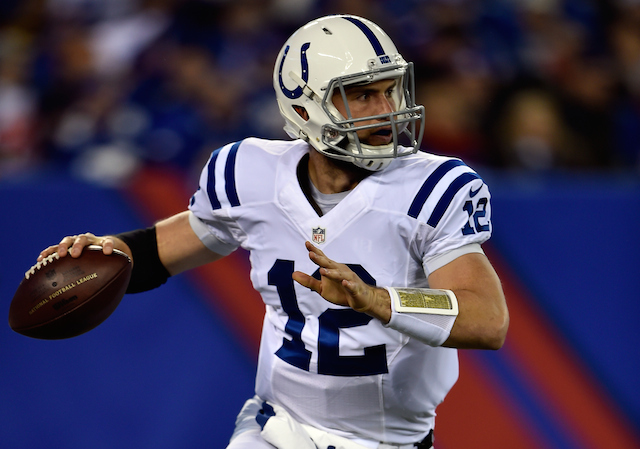 Andrew Luck vs. Peyton Manning: Who is the Better Quarterback? Luck, who finished the 2014 season in the top three for passing, has now played 48 regular-season games since Indianapolis made him the No. 1 overall pick in 2012. So how do Luck’s first 48 games with the Colts compare to his predecessor (and 1998 No. 1 overall selection) Peyton Manning’s first 41 games? 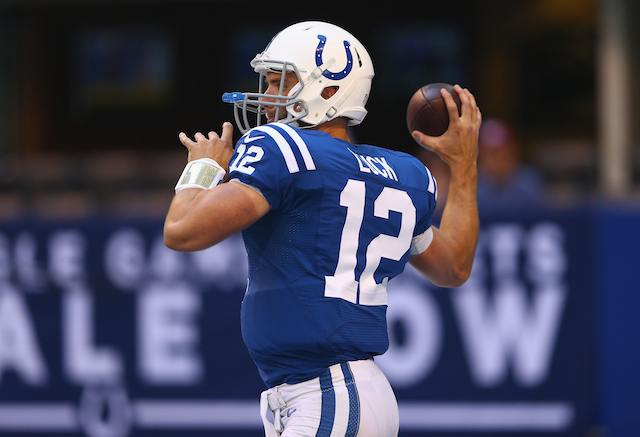 During his first three seasons as an NFL quarterback, Luck has started all 48 games that his team has played. He’s completed 1062 passes in 1813 attempts, or 58.6% of his throws. Over Manning’s first 48 games, he also started all of them, with a slightly better completion percentage, albeit on fewer throws (60.4%). Manning hit on 1014 passes in 1679 attempts over that span. The yardage edge goes to the newcomer, as Andrew Luck has thrown for 12,957 yards and counting, narrowly trumping Manning’s 12,287 in his first three seasons as a Colt. Touchdowns? It’s nearly identical. 86 for Luck, 85 for Manning. (That bodes well for the current Indy quarterback going forward, since Manning only has more touchdown throws than anyone in history over his NFL career.) The touchdown/interception ratio goes in Luck’s category as well, and it’s not close: He’s only thrown 43 career interceptions to go with his 86 TDs, while Manning threw 58 picks along with the 85 TDs over the same time span in the early years of his career. In his first 48 games, Peyton Manning led the Colts on nine fourth-quarter comebacks and authored 11 game-winning drives. Andrew Luck has put together eight fourth-quarter comebacks and — guess what? — exactly 11 game-winning drives. Of course, the most important stat for a quarterback can be found in the win-loss column, and Luck has been exceptional there. While Manning was 26-22 over his first 48 starts (still nothing to sneeze at for a QB inheriting a 3-13 team), Luck has far surpassed that winning percentage. He’s 23-15 through 48 games as a starter, and — despite the Colts going 2-14 the year before he got to Indianapolis — and has made three trips to the playoffs in three tries. But, regardless, after three seasons, it’s clear that the new kid on the block is well on his way to doing just that. All stats are from Pro-Football-Reference.com.